The largest marine geyser in the world is located on the Punta Banda Peninsula. Watch as it blows upwards of 100 feet above sea level, hear its thunderous roar and expect to get wet! This former casino attracted celebrities of the 1930s. Today you can tour its historic cathedral ballroom and salon. Stroll through the gardens and visit the Museum of History and city gallery. Founded in 1888, this winery is one of Baja's premier vintners. Its varieties include cabernet, chardonnay, chenin blanc, merlot, pinot noir and more. Enjoy a tour and wine tasting. Just a couple blocks from the pier is the main tourist shopping area where you can find pottery, silver jewelry, woven blankets and hats as well as duty-free items such as liquor and perfume. Taste the sweet grapes of one of Mexico's finest wineries, Casa Doña Lupe, where you'll witness the wine-making process, from the crushing of grapes to fermentation, pressing, aging and bottling. Often cited as North America's next great wine country, Guadalupe is often compared to California's Napa Valley. Sitting at the forefront of the Baja wine movement, the rustic landscape is dotted with over 100 wineries. Head to Riviera del Pacifico to listen to a lively Mariachi band, then let the costumed performers entertain you with authentic Mexican music and dance. It's a folkloric fiesta! 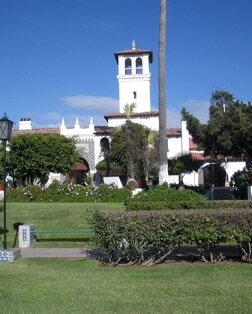 Ventana al Mar (window to the sea)- enjoy a relaxing walk along the beautiful waterfront promenade.